Located in the heart of the Fermanagh Lakelands, near Enniskillen town centre on the shores of Lower Lough Erne, Manor House Country Hotel is one of Northern Irelands leading hotels. A family owned property that combines old world charm with modern hotel luxury and a warm Fermanagh welcome to give this Fermanagh hotel a charming country house ambience. 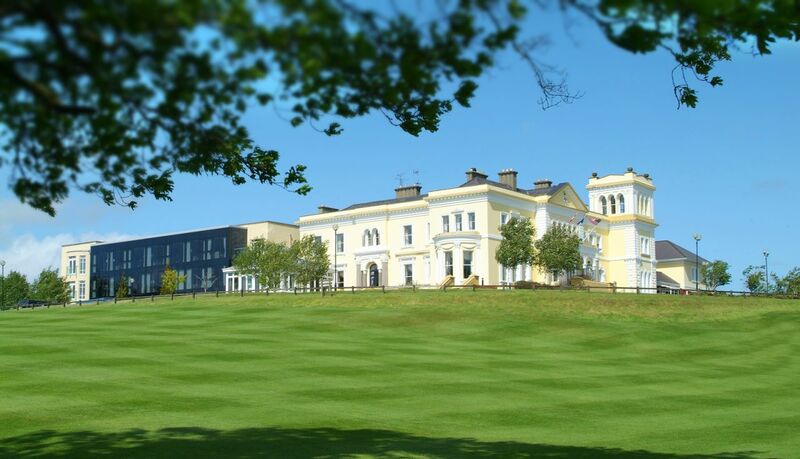 As guests of the Hotel you have complimentary access to the Leisure centre complete with a large Romanesque swimming pool with conservatory area which overlooks Lough Erne; a Jacuzzi, Sauna, steam rooms, outdoor hot tub and Fitness Suite . 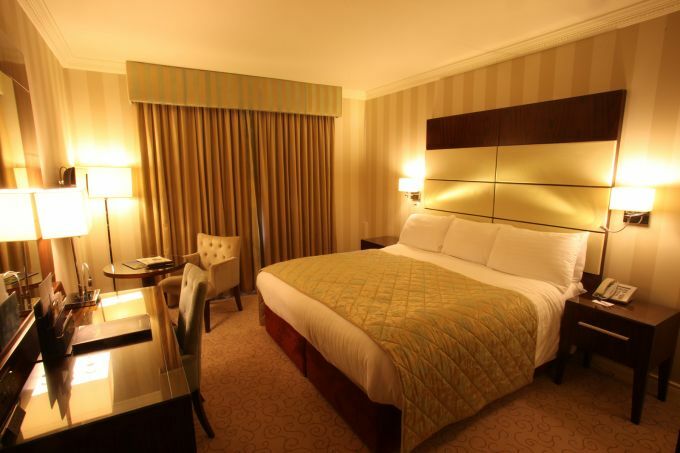 Guest Rooms: An AA and Northern Ireland Tourist Board Four Star hotel, we have a variety of rooms and suites to suit your needs. All rooms are spacious and bright with warm decor, elegant furnishings and superb facilities that will make your stay with us relaxing and leaving you wanting to return. Location: Located in the heart of The Fermanagh Lakelands, near Enniskillen town centre (7 miles) on the shores of Lower Lough Erne, The Manor House Country Hotel is one of Northern Ireland's leading hotels. It is the perfect country retreat; you will experience a true sense of tranquillity and enjoy superb views of Lough Erne. Just minutes from St. Angelo Airport Enniskillen and within 2 hours drive time of Belfast International Airport (Aldergrove); Belfast City Airport (George Best); Sligo and City of Derry Airport as well Belfast & Dublin Ports. 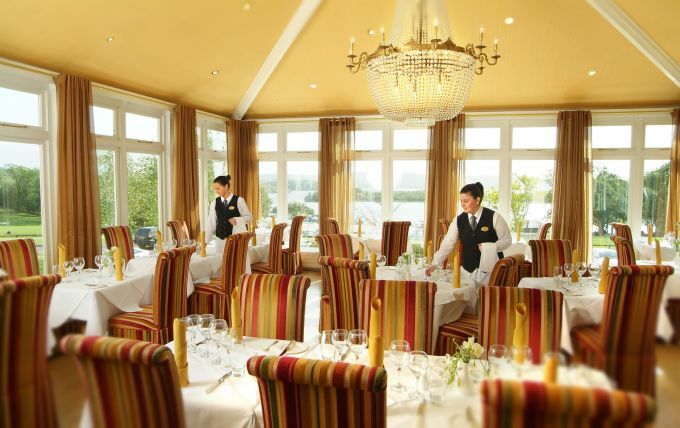 Restaurants: Manor House Country Hotel has a selection of high quality Restaurants and Bars including Belleek Restaurant , awarded Two AA Rosettes for culinary excellence. The ornate interior with its high ceilings, fabulous cornicing wall detail and stunning views of Lough Erne exude a tranquil and inviting ambience. 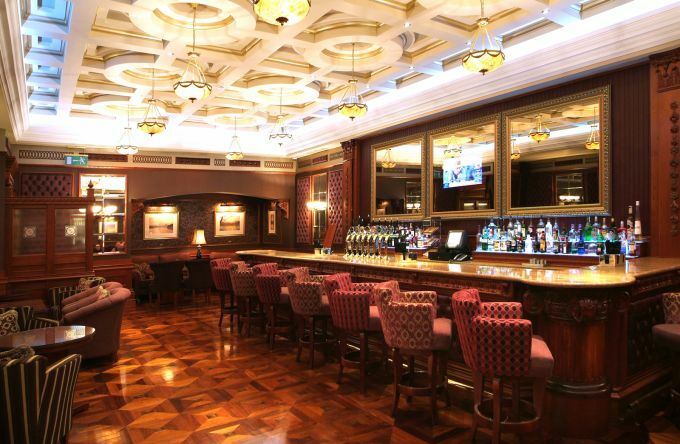 The chic surroundings of Watergate Bar are sure to impress, it brings a modern twist to the 19th Century allure of Manor House Country Hotel features include a sleek marble bar, sedate lighting, sophisticated cocktail bar stools and lounge seating. Enjoy delicious lite bites from our exclusive all day ‘Tapetizer’ Menu. Cellar Door Bistro captures the old world charm of the original Manor House Building, with its traditional cottage style walls and vaulted ceiling. It offers a casual style of dining with an extensive all day menu which is also served in the Cellar Door Bar . Renowned for its homely ambience, you can watch the game on one of our Plasma TV’s or get your dancing shoes on with weekend entertainment by a Live Band! Or simply enjoy a relaxing Tea or Coffee in the Lounge areas and enjoy the ambience of The Manor House by the open fires.